An all-action North of Nightfall cut is now live. A few weeks ago, last month actually, I covered the premier of this epic adventure on the uninhabited Axel Heiberg Island. There are plenty of wow moments in the original, which are now even more intense without the eco-friendly messaging in between. From watching the original, what I learned was that each summer, the frozen landscape of Axel Heiberg Island, high in the Arctic Circle flourishes under endless daylight, revealing a spectacular ecosystem. And, there the riders discovered a changing environment steeped in history, along with challenging descents unlike anything anyone’s ridden to date. Their goal was to explore, build up to, and ride these massive lines. 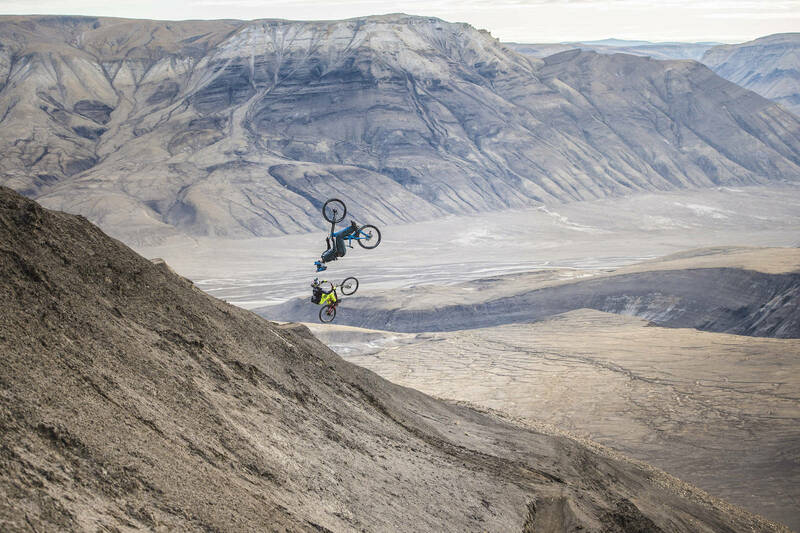 Cam Zink and Tom van Steenbergen perform while filming North of Nightfall on Axel Heiberg Island, Canada in July of 2017. The adventure documented in the film tested not only their skill, but also their sanity, as they attempted to push freeriding’s progression 12-hours from the nearest hospital, during days without a beginning or end. 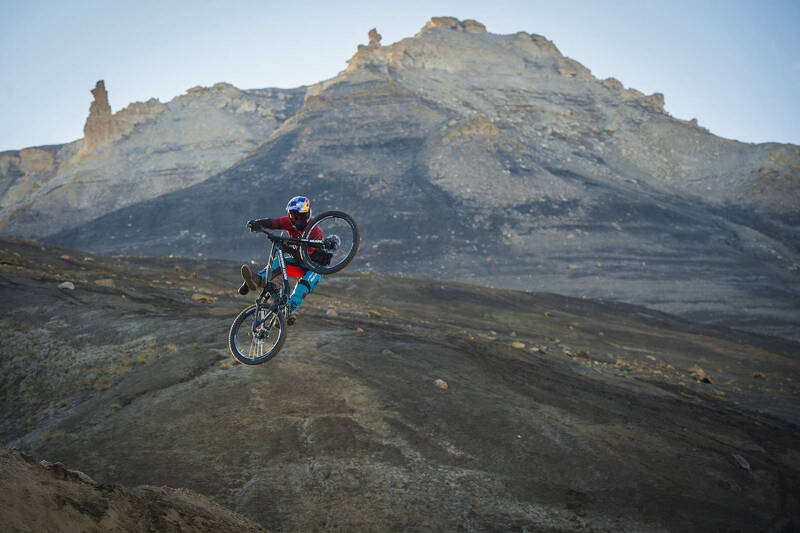 Darren Berrecloth, Carson Storch, Cam Zink, and Tom van Steenbergen descend massive 2,000+ foot lines. The director told me, the descents were so long, he had to edit them down to not lose audience interest. Watched in the either, I didn’t get bored, but engaged with “how in the F did they do that” during the big finish. A 3-In-1 Collector’s Edition of North of Nightfall including the film on Blu-Ray, DVD and a digital download are available from The Red Bull Shop US. Get it on Google Play too. Here’s a photo I took from the red carpet with the cast and crew.